In the case of the writer’s forum, you might have heard of the word very frequently known as plagiarism. But many of you might not know what exactly it is all about. Plagiarism is a kind of forgery in which a person’s ideas or their writings are copied and published in the name of another without the knowledge of the person who actually created it. Now plagiarism is a very common crime that is done in the world of writing as people feel it is okay to take advantage of any other’s creation. But it is not at all a legitimate form. It’s also worth mentioning that in the recent time’s Universities and Schools have been employing the anti-plagiarism tools in order to evaluate the assignments. Even if you are sure that nothing has been copied from a website or other sources it’s always advisable to give it a check. Why the pressing need for plagiarism check? In this advanced world, every single day newer websites are coming up and there is no limit to the amount of content that is needed there. Now, let us suppose that someone else copies your way of promotion by using your content of the website. Then if there is no plag check method, then there will be no way in which you will be able to prove that your website had created the content. Now because of the plag check facilities, it is possible to detect any content when it is copied by any other forum. Now let us see the factors that can be considered to be plagiarism and the six Copyscape alternative structures to be used. Rephrasing the sentence carrying some other person’s ideas or quote. Not only words can be plagiarized but also it can happen in the case of the images, videos, animations and so on as well. This is one of the most feasible ways to replace the Copyscape. 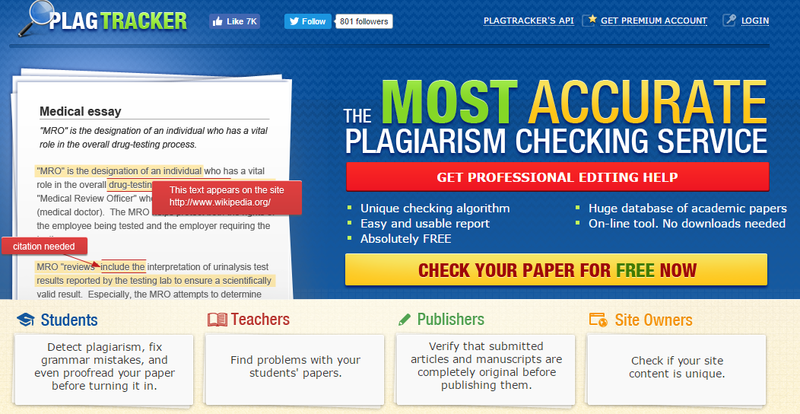 This has a very easy to use navigation system and is a professional plagiarism checker as well. It not only checks the text in a basic way but also makes a detailed analysis of the same so that there are no loopholes for plagiarism. It is free and is also very affordable for all the users. Also, it is the best for the content writers who are in this field for a small time so that they can get their texts checked and can submit absolutely unique texts with the help of the same. It not only checks the text in the best possible manner but it also gives the source where the text seems copied so that you can also cross check it. This is a great tool for checking the plagiarism issues and it if the best if you use this for your site content management as well. This is another forum where you can get your text checked out. The best part about it is that you can gain access to this software for free and it also gives the results in a very fast paced manner. It is very easy to sign in as you only have to put your email id in the same and sync it. It also has the feature of the Google Scholar Search so that it can search for the plagiarism throughout Google. It also gives you the free paraphrasing software so that you can improve the quality of the text that you are creating for your website. This ensures the fact that you can make your content shorter and yet wittier to read as well. Price: Free version has a limited number of plagiarism checks while the pricing starts from $8 for one day for up to 100 searches or the better one, $25 for unlimited searches for 3 months. As the name suggests, this is a very effective checked for duplicate content. This is a free tool but does not be deceived by that- as because this tool has the elements that you need to avoid plagiarism. It gives you the opportunity to sign up for free and you get to have the text comparison search here- so that you can have check whether your content is the better one and how you can make it better. 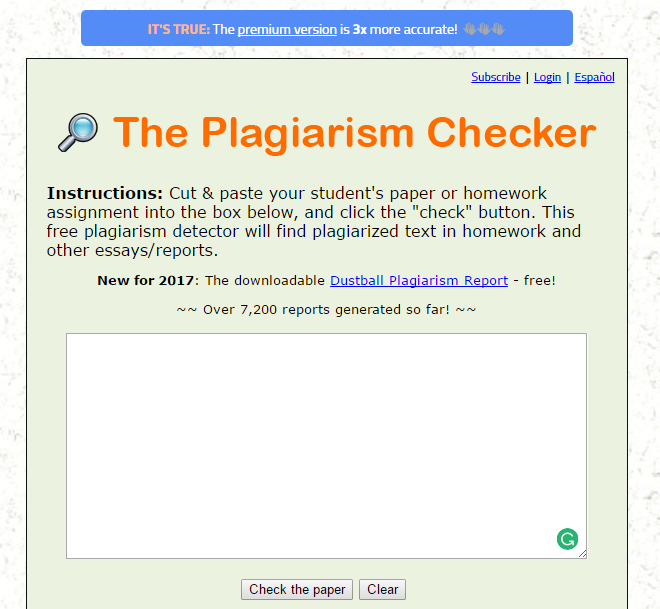 That is an amazing thing that you can do with free plagiarism checking tool. This is a tool that helps you to check any kind of document, whether it is a PDF file or a doc file. So no matter what the format is, you can always get it checked by Plag checker. Also, its user interface is pretty clutter free and thus easy to use. 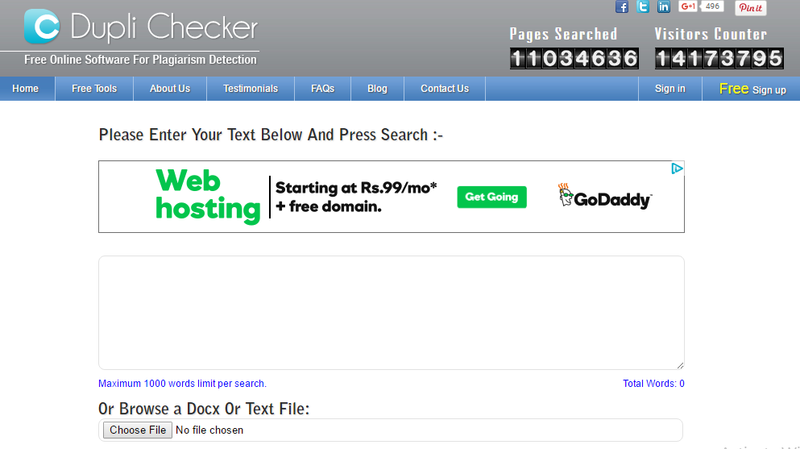 This is an online chopper and a free tool in order to check the plagiarism checker. This checker is really handy when it comes to checking plagiarisms in texts in a speedy manner so that your content can be more than perfect. Dustball is the most highly rated checker of all times and that is the reason why it can be an alternative to Copyscape. Price: Their free model doesn’t make much sense as in one only get 1,000 per day, worldwide! So, to get unlimited searches you need to subscribe to their $8 a month package. 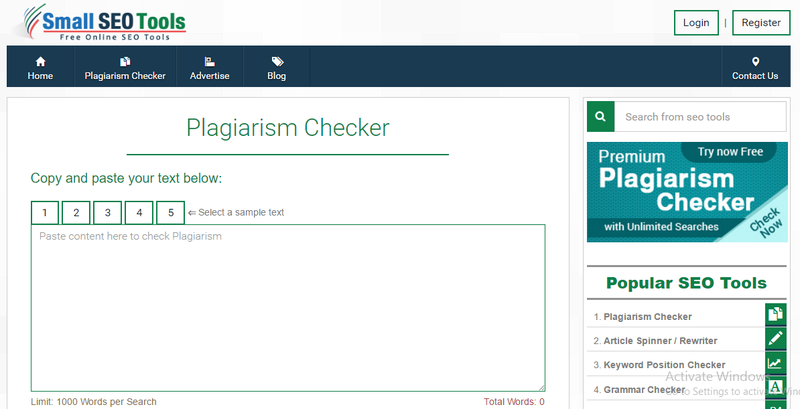 This is a free plagiarism check tool that does not only detects the copied parts of any text but also helps in the grammar checking of the same as well so that there are not grammatical mistakes at all. 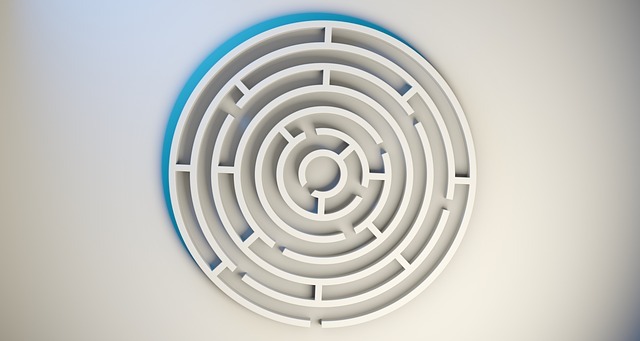 This is a free tool and you do not even have to sign up to gain access to the same. Price: Free 1000 words per search. There is not premium membership, but you can break download the article to less than 1000 words and reuse the service multiple times for free. Now that we have walked you through the six Copyscape alternative structures, Let us know which one worked out the best for you and why in the comments section below.